Increasing the number of paddocks and implementing rotational grazing can result in higher stocking rates, higher per hectare production and higher gross margins, even though per head production is lower. Return on investment depends on required additional infrastructure. The grazing systems were all grazed with Merino ewes of Centre Plus origin which were joined to White Suffolk rams at the beginning of April to lamb in September. Sheep were selected based on Australian Sheep Breeding Values to have higher than average genetic potential for wool production, reproductive performance and lamb growth. The later lambing time (August/September) meant that peak feed demand coincided with peak pasture supply. This allowed for higher stocking rates than could be achieved with an earlier lambing time. Like most native pastures in the Central Tablelands, the Panuara site is undulating and highly variable in aspect, slope, and soil type and depth. The altitude ranges from 770 to 820 metres above sea level. 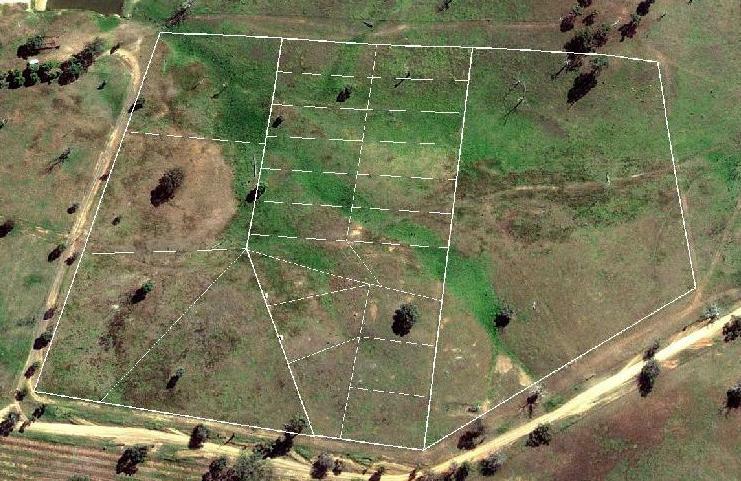 There are large differences in the capacity for pasture production due to topography. 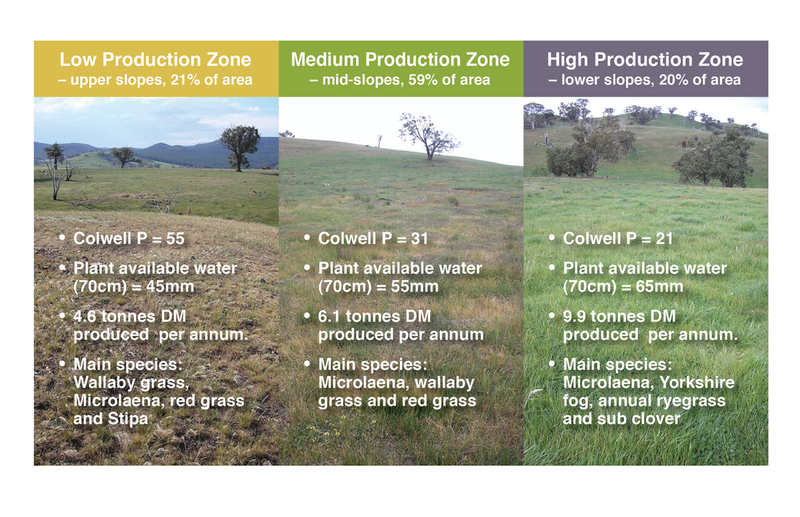 Therefore, before the experiment began the site was classified and mapped into three production zones (Figure 1) by visually estimating green herbage in spring. The production zones were used to determine where grazing system replications and plots were located. All plots within a replication were estimated to have a similar proportion of High, Medium and Low Production Zones so they all had the same potential productivity (Figure 2). Phosphorous fertiliser (Single Superphosphate) was applied only to the High Production Zone at 250 kg/ha in 2009 and 125 kg/ha in 2010 which maintained fertility levels. With no fertiliser inputs, the low production and medium production zones declined in their phosphorous levels, from 54 to 41 mg/kg and 31 to 23 mg/kg respectively.